PIC-ICD2-POCKET is the world's smallest PIC ICD2 debugger and programmer, with only 55 x 55 mm (2.16 x 2.16") dimensions and only 30gr weight (without the ICSP cable and packing). This little device fits in your pocket and is very convenient to carry with you when you work in field. PIC-ICD2-POCKET is a complete replacement for Microchip's original MPBA-ICD2 and with it you can do everything you could do with the original MPLAB-ICD2. The only difference is that MPLAB-ICD2 also has RS232 while PIC-ICD2-POCKET operates only from USB. PIC-ICD2-POCKET is a low-cost, real-time debugger and programmer for selected PIC MCUs and dsPIC DSCs. Programs can be downloaded, executed in real time and examined in detail with the debug functions of MPLAB. Set watch variables and breakpoints from symbolic labels in C or assembly source code, and single step through the C source lines or into the assembly code. PIC-ICD2-POCKET can also be used as a development programmer for supported MCUs. The secret behind the In Circuit Debugging is the two dedicated hardware lines (microcontroller pins used only during debugging mode) that control the In Circuit Serial Programming (ICSP) of the device and, afterwards, they debug through proprietary, on-chip firmware. The ICD 2 debug features are built into the microcontroller and activated by programming the debug code into the target processor. There is some shared overhead expense that includes one stack level, some general purpose file registers and a small area of program memory. When programming my PIC32 with PIC-ICD2-POCKET I receive various error messages. What should I do? The PIC32 family does not work properly with ICD2. According to Microchip, ICD2 is suitable for the PIC16 and PIC18 Microchip families but there is no guarantee whether it will work with the PIC32 processors (even if stated in MPLAB): click Please consider purchasing a PIC-KIT3, which is suitable for PIC32. What's the difference between PIC-ICD2-POCKET and MPLAB-ICD2 (PIC-ICD2)? There is no functional difference between them and PIC-ICD2-POCKET is 100% compatible with MPLAB-ICD2. The only difference is the ICSP connector - Microchip uses a RJ45 phone jack connector, while we use a 0.1" step. 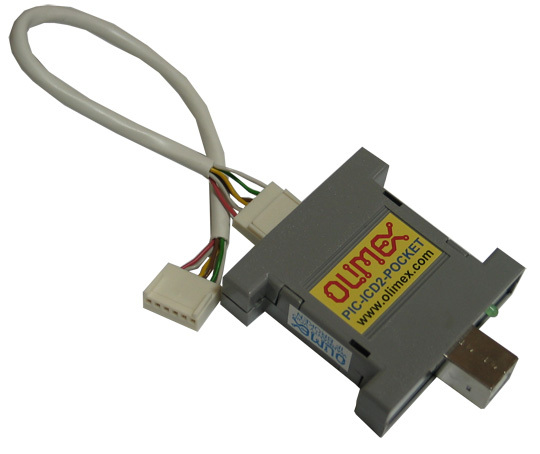 PIC-ICD2-POCKET also has no RS232 connectors for connection to a PC host - this is obsolete and slows the interface, and for the sake of miniaturization we decided to cut it from this design. You must have a USB type A-B cable to connect to a PC. 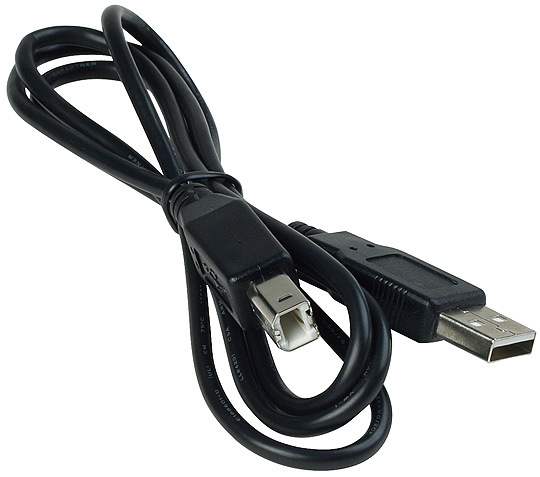 All PC USB hosts have a USB-A connector while PIC-ICD2-POCKET has a USB-B connector so the cable should be a USB A-to-B type. What should I know when I connect a PIC-ICD2-POCKET to target board? It is very important that your target PIC MCLR is not directly connected to the VCC! During the programming / debugging MCLR goes as high as 13VDC and if your target MCLR is connected directly to the target VCC, you will blow either the PIC-ICD2-POCKET or your target board. Always use a 10K pullup resistor from MCLR to VCC. I'm on a very low budged. What is the difference between the PIC-ICD2-POCKET and the PIC-ICD2-TINY? TINY has a fixed 13VDC Vpp while PIC-ICD2-POCKET has a variable voltage Vpp, some new PIC microcontrollers have a max limit of 12.5V for Vpp. A diode drop circuit should be used if you work with TINY.